The case study describes how Berrison Activities and Events delivered a health and wellbeing event for Averda, who are a cleaning and environmental services company spread across the Middle-East, Africa and parts of Europe. The geographic spread of the client business can make it difficult to engage staff and achieve continuity across the company. This submission demonstrates how Berrison Events used e-book/literature, social media and Augmented Reality (AR) to engage Averda’s top 100 influential leaders in health and wellbeing and to sustain that interest over time. Health and well-being activity was integrated into Averda’s annual three-day management conference. The objective of the health and well-being activities was to give people skills, knowledge and confidence to improve their health and wellbeing while at work. The start point was getting executive sponsorship for the activities. 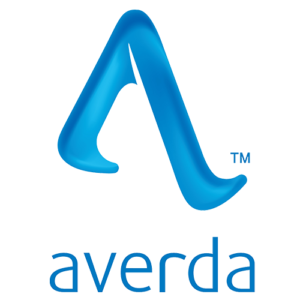 We needed to make it relevant and be able to insert the support material into Averda’s existing communication channels. Research suggested that maintaining a healthy diet, smoking cessation and hours spent at a desk were key challenges for managers across the region. The chapters of the e-book and the conference sessions were put together with this in mind. Averda manager’s and staff already used Yammer as their company social media forum, therefore we also used this to engage and inform people. averda is a technology driven business providing individuals with good access to cloud/internet so we were able to use Augmented Reality (AR) to keep managers engaged and informed. Each part of the sequence described is different for each client. Elements of the event are shaped according to the people involved, the technology available and the current communication channels. Digital capability and the availability of micro print facilities allows Berrison to easily build new chapters of the e-book and use it as a hard copy book if required. There are always inevitable challenges with events of this nature. How to interest the audience and make them feel the event is personalised? How to get the right person to run the sessions and compile the book chapters? How to encourage the use of the material beyond the initial event? How to cost effectively complete the groundwork for international events? The flexibility of this event and our ability to see and respond to the individual needs of each client is the first line of defence that reduces the challenges. The use of existing, well used, client communication channels and our style and approach makes it easier to get the majority of the audience to ‘buy in’ to and participate in the event. Berrison Events has a pool of engaging health and wellbeing experts who are prepared to travel internationally to deliver events. For the averda event in March 2014 Darren Harris was the ‘Guru in residence’. The use of technology with this event and the health and wellbeing theme is specifically to reduce the challenges and respond to the type of question posed above. Initiating, interesting debate through Yammer and other social media. AR technology to provide a stream of interactive video reminders and new material. Extensive use of Skype to develop relationships between clients, delegates, experts, event staff and international logistics / ground agents. averda and their managers experienced a package of activities to support their health and wellbeing where the intelligent use of technology added significant value. Thoughts and ideas initiated through Yammer social media. Pre-event e-book with chapters that specifically focus on the company’s challenges. Daily, pre-breakfast information and gentle exercise sessions link to the e-book chapters. Team and individual GPS brand & marketing trail and fun run/walk linked to the pre-breakfast exercise sessions. Each person given a mug to keep in their workplace with an AR logo image on the side which triggers Information and reminder videos that are created and uploaded remotely. Continuation of debate and interaction through Yammer social media. Each delegate was given a 10 in 10 challenges to complete after the conference. The package of activity was perceived by the majority of the delegates as very positive, with 75% of the audience attending all the activities and 100% attending at least three of the five activities. We are still interacting with delegates on Yammer and new information videos are being posted monthly. This event can be integrated into any type of conference or training activity. Its headline objective is “To enable people to take care of their health and wellbeing while at work.” It is fun, interactive and informative. It is designed to be suitable for all types of employee groups.